I’ve always loved succulents in any of their forms. And for a time now I’ve been dreaming on doing something special with them. 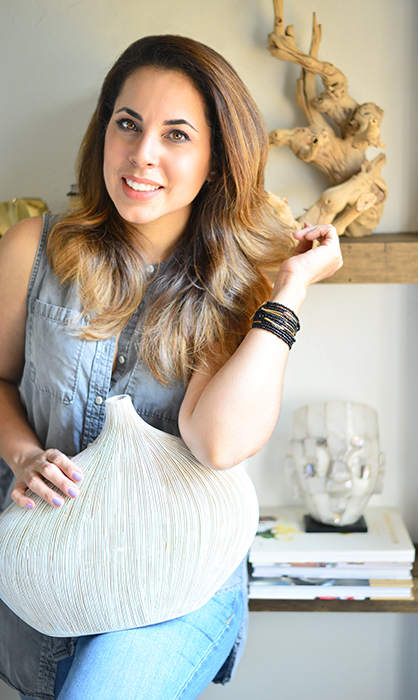 During one of my HomeGoods visits, I found a lovely basket on the Clearance section (only $10) and felt in love with it. With new basket at hand, I realized that this would be the perfect carrier for my new project: a Succulent Basket. For this project I went to a succulent nursery here in South Florida called Isaac Farms (I’ll later post pictures of this heavenly place). With a great selection of these types of plants, it was very difficult to just pick a few. 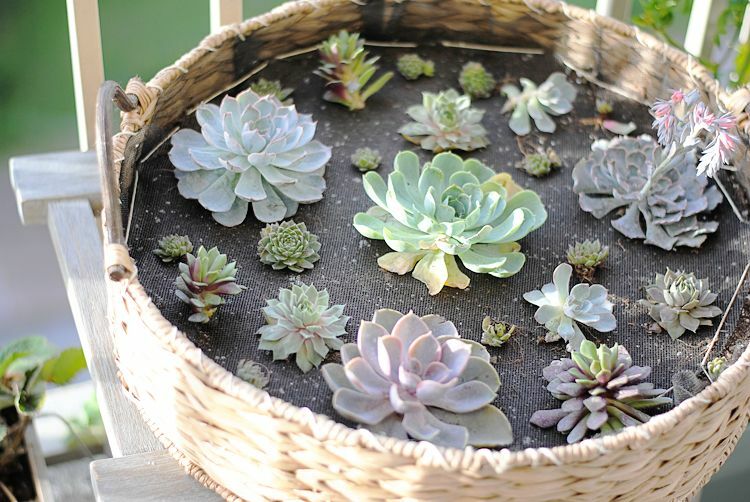 Besides the succulents and the basket, I also used organic potting soil (available at Home Depot), some twine and a roll of charcoal fiberglass screen (also from Home Depot). The first thing I did was to cut a big piece of the fiberglass screen to place inside the basket. The size will vary depending on the container you are using. This screen will prevent the soil from getting out of the basket but at the same time will help with the draining. Remember these plants don’t like to be drown with water! Now, I layout the succulents (still on their original pots) inside the basket to get a better idea of how they will look once planted. Make sure to take a photo of this so you’ll remember the placing for later. Now I filled the area of the screen with the soil and removed with scissors the excess at the top. I secure the screen and soil for when this baby goes on my wall. Now for the tricky part; in the future (when the succulents grow a bit more) I’m planning on hanging this basket on the wall. With this idea in mind, I have to secure the soil and the screen to the basket. The way I did this was by using some twine around the top part of the screen (sewing it to the border of the basket as shown on pictures 1 and 2). I also made some stitching on the bottom of the basket to really secure the screen (you can do this step before pouring the soil). Once the soil was in, I pressed it down to make sure it would stay firm and placed another layer of screen (picture 3) on top of the soil. I also sew this to the basket (pictures 4 and 5). So many varieties of succulents available at the Isaac Fams. As you can see on this photo, I removed the soil they came with and added it to the one in the basket. To plant my succulents I just snip some holes sparingly but according to my previous setting (the one I took the photo) and used a pencil to dig holes. As you’ll see by the final picture, without even being at their top sizes, these beauties are making my basket look like a million dollar accent. I can’t wait to see them all grown at their fullest. I’ll keep you all posted for when this basket is ready to be hang on the wall but until then, let me know what you think of this project. What other container would you’ve used? 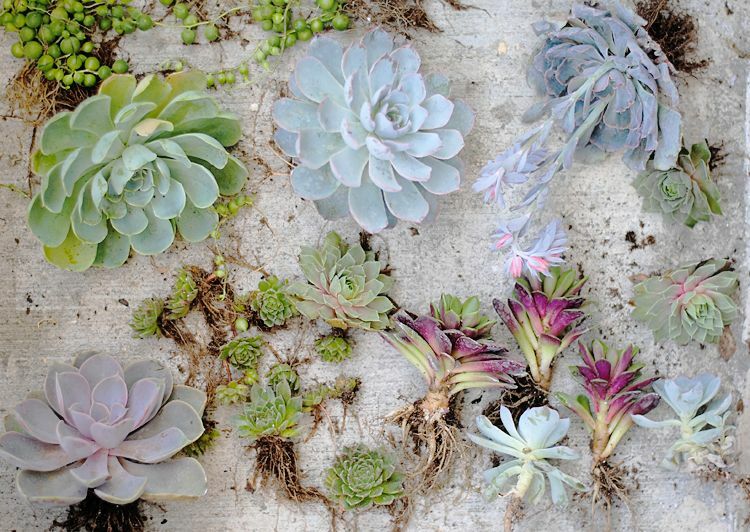 What flowers of plants would you’ve preferred instead of succulents? Succulents are one of my most favorite easy plants to grow. I have MANY, I was even given the nickname of "Succulent Sue" which I accepted proudly. Even grew one variety, not hardy ones, outside, in a area surrounded by wonderful pieces of driftwood, In the Pacific North West. In the winter I would cover with 2 layers of 'thick' plastic, and only lose, maybe 1/10th to a heavy freeze. They would soon fill in again. I also planted some hardy varaities into driftwood that had perfect places for them to grow in the various nooks and crannies of wonderful pieces of driftwood. Quite magical and wonderous and easy!!! Can't wait to see your basket when it gets filled in. It will be fabulous. thanks for this post. LOVE IT! S.T.via Facebook. Hello Susan! Saw your post in Facebook, but I was more surprised to read all the story here. I would love to see your succulents in the driftwood. Do you have a blog I can see them? It would be wonderful if we can share this with others. Thank you so much for stopping by but mostly for sharing this with me. 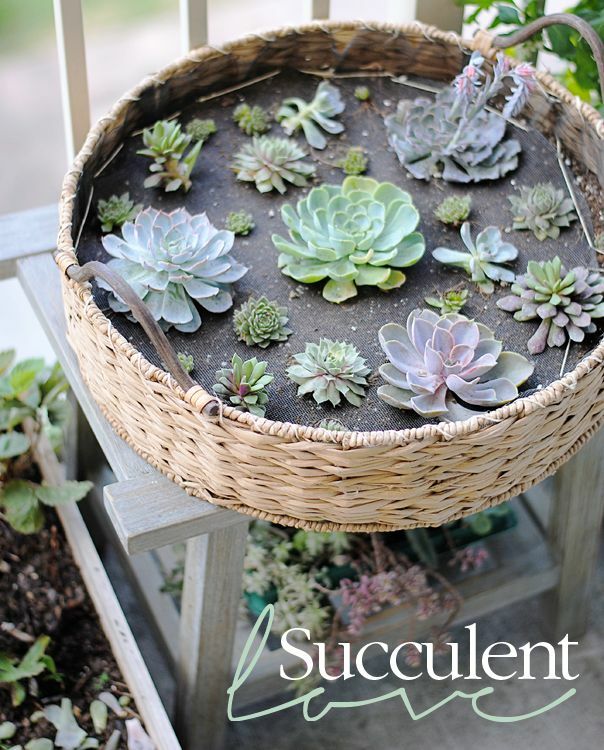 Love this; it was exactly what I was looking for as I have a heart-shaped basket I want to plan with succulents! How did yours turn out/any advice/mature pics? Thanks so much. Hello Karen and thank you for stopping by. We moved from the apartment where this photo was taken and in the process, the basket suffer from great damage. Needless to say I had to transplant the succulents to a new area. I've been growing them now in a box and still some of them have been very sloooowwwwly evolved into big ones. Sorry I don't have a picture of it now. Thanks again!